Imagine this: you’re outside, feeling the sun shine on your face. You’re moving around and staying in shape. You’re having fun as you work together with your crew. You see the results of your hard work at the end of every day, and you’re proud of what you’ve accomplished. Does this sound like your next career? We hope so. 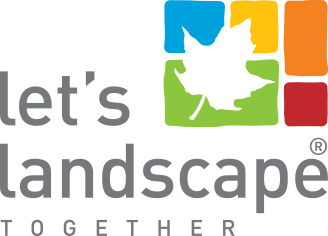 We’re Let’s Landscape Together, and we’re looking for you: the next member of our Landscape Maintenance team. We’re an award-winning, Waterdown-based business, that’s designed, built and maintained landscapes across the Golden Horseshoe for over 22 years. We’re proud of the team we’ve built – our employees come first and feel like family – and we can’t wait for you to join us. Your main goal in this position is to visit customers’ houses to perform landscaping maintenance services on their lawns and gardens. You’ll start your day by reporting to our office. You’ll gather any materials and tools you need for the day and load your work vehicle. Then, along with your crew, you’ll travel to multiple job sites per day, based on a pre-set schedule. Using ride-on mowers and tools like hedge trimmers, pruners, shovels, rakes, and blowers, you’ll garden, weed, and beautify customers’ homes. Take pride in what you do – you’ll treat our customers’ homes as if they are your own. You do your work with an attention to detail that shows our customers you care. You take satisfaction in job well done. You take initiative – you’re proactive, always looking for ways to improve the way you do your work. You’re interested in a career in landscaping – we’re a well-established business, with room to grow. As you build your landscaping skills, you can progress into more senior roles. Landscaping is something you truly enjoy. 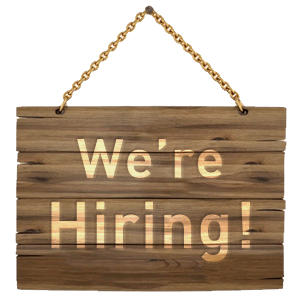 This is a full-time position with on call work in the winter months (in the winter, our services also include snow plowing and removal). We have a benefits package available and RSP/DPSP contributions (after one year). Our employees love working with us because their voices are heard, and they’re treated like family. Working here means you’ll have a say, you’ll feel appreciated, and you’ll be recognized and rewarded for your contributions. Our crews genuinely enjoy working together. We have fun on the job, while doing things the right way for our customers. We’re a team of landscape professionals who love what we do. Our online application will give you the option to apply to this role as a complete person – not just a resume. Let’s Landscape Together is an equal-opportunity employer.